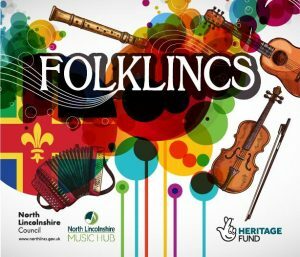 Folklincs are touring North Lincolnshire to create a folk map of our area. We would like the people of Kirton in Lindsey and surrounding areas to come along and be part of this exciting project. Bring your stories, your traditions, your music, maybe even your dances. See how far we have got with producing the map, come and see what customs and traditions are part of Kirton’s past and present. Put your stories, songs and memories on the map. 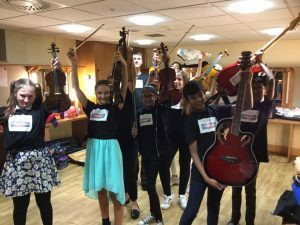 Bring your children let them try some traditional instruments (or try them yourself!) maybe listen to a story, then stay for the concert and enjoy some great music. Concert begins at 6pm, tickets £5. Available from One Stop, Mary Hollingsworth 01652 648435 or on the door. 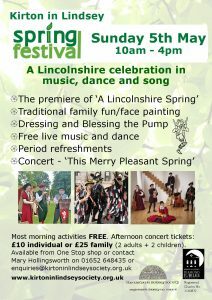 Also check on the Folklincs Facebook page for more information. Error: Error validating access token: Session has expired on Saturday, 23-Mar-19 02:32:21 PDT. The current time is Thursday, 25-Apr-19 19:42:00 PDT.